Some 2,000 people have been forced to flee to the northeastern Nigerian city of Maiduguri ahead of a major offensive against Boko Haram, emergency services and residents told AFP on Tuesday. Nigerian troops herded residents of Jakana village into trucks and ferried them 40 kilometers to a displacement camp in the Borno State capital, said a National Emergency Management Agency (NEMA) spokesman. 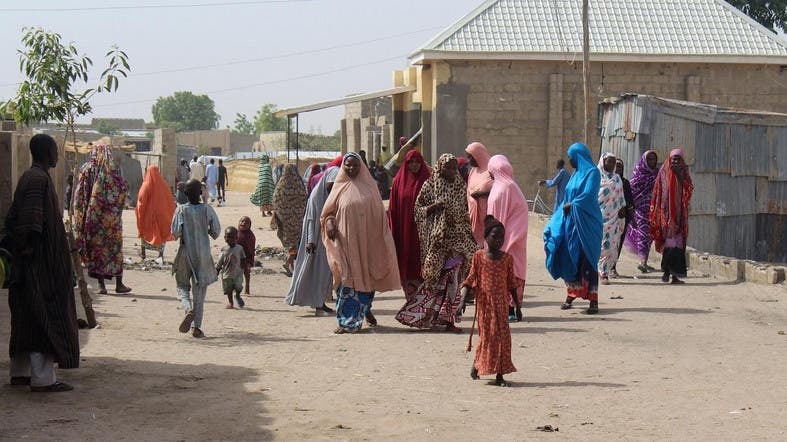 Evacuated residents were taken to “Bakassi IDP (internally displaced persons) Camp by the military for their safety as a result of ongoing operations to flush out insurgents in the area,” said Abdulkadir Ibrahim. Camp officials were “mobilizing resources” to care for their basic needs, he added. The residents of Jakana said they were given no notice. Modu Kaka said: “The soldiers came this morning and told us to assemble and began herding us into trucks. Bakassi is one of several camps in the city housing thousands of displaced people, who live in squalid shelters and rely on food handouts from aid agencies. An unnamed military official in the city said the evacuation was in preparation for a “big operation” against the Islamic State West Africa Province (ISWAP), the ISIS-linked faction of Boko Haram. Jakana lies on a known crossing route for ISWAP fighters moving between their camps in the Benisheikh forest area of Borno and their hideouts in the Buni Yadi area of neighboring Yobe state.